Other Info: We are a lesbian couple who have been together for 6 years married for 3, we are looking to become parents which is something we both truly want. I am Macy and my partner is Sarah. 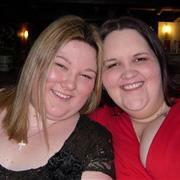 I am 25 and Sarah is 37, If we seem the kind of people to coparent then please message to find out more.